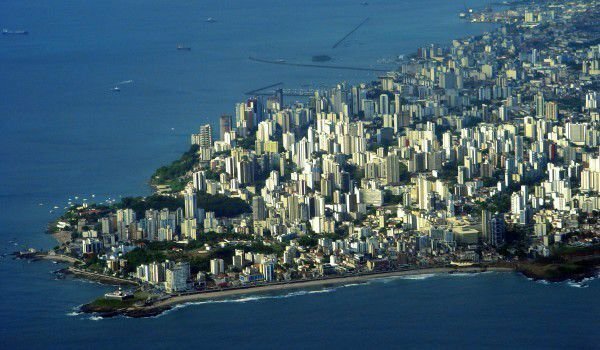 Salvador de Bahia is the largest city of the north-eastern Brazilian coast. The South American city is considered "the Brazilian capital of happiness". The Association is made for the lifestyle of local residents who have not refrained from any kind of improvising with wild parties and carnivals in the streets and boulevards of this exotic Brazilian metropolis. It is believed that El Salvador is the second most popular tourist destination in Brazil. In Salvador de Bahia is oddly mixed Brazilian, African and European heritage. This is reflected not only in the minds of locals, but also in their lifestyle and architecture. What impresses guests of El Salvador most is the music, cuisine and architecture of the city. The beaches around Salvador de Bahia are another calling card of the city. Among the most popular is Farol da Barra Beach. The peninsula is a small cut in the ocean, home of one of the most beautiful military constructions in Brazil - Mont Serrat Fortress. The white building is home of the interesting Armory Museum, which tells the history and importance of arms and other symbolic characters. Salvador is proud of its four brilliant parks, including Jardim dos Namorados Park, Costa Azul Park, Park of the City, and Park of Pituaçu. In the old part of town is the historic center Pelourinho. In translation from the Portuguese, the name of the place means "pillar of shame." Of this controversial place, during the Portuguese colonial period were made "Penalties" with lashes for "undisciplined" slaves. Around the square there are still preserved buildings, dating from the 17-19 century. Today the area attracts many tourists. There are many churches, pubs, restaurants, souvenir shops. The area is protected by UNESCO. There is also the Cathedral Basilica of Salvador. The building was erected two years after the creation of the city - back in 1551. At that time, the temple was located in the heart of the Brazilian city. The basilica has very impressive architecture, and precise interior design. Interesting to visitors are the monastery and the São Francisco Church and Convent of Salvador as well as the neoclassical Church of Nosso Senhor do Bonfim. In 1873, the Lacerda Elevator was built - a big lift, connecting the two parts of the old town. This landmark is extremely popular with residents and guests of Salvador de Bahia. The city has many malls and nice places to stay, the prices are affordable for all. 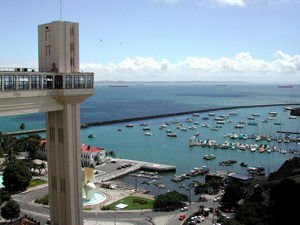 Salvador de Bahia is the capital of the north-eastern state of Bahia. The city of Salvador Bahia is called like that to distinguish it from other places bearing the name Salvador. The city was founded by the discoverer of America - Amerigo Vespucci, in 1501. Later, Salvador became the first capital of Brazil and remained so until 1793, when government offices move to Rio. The city of Salvador is located on a peninsula separating the Todos os Santos Bay from the Atlantic Ocean. The bay is an excellent natural harbour, which makes the city an important export center. The Brazilian city is the third largest in the country after Sao Paulo and Rio de Janeiro with a population of around 2, 710 000 people.